Where Does Your Rental Car Company Rank? 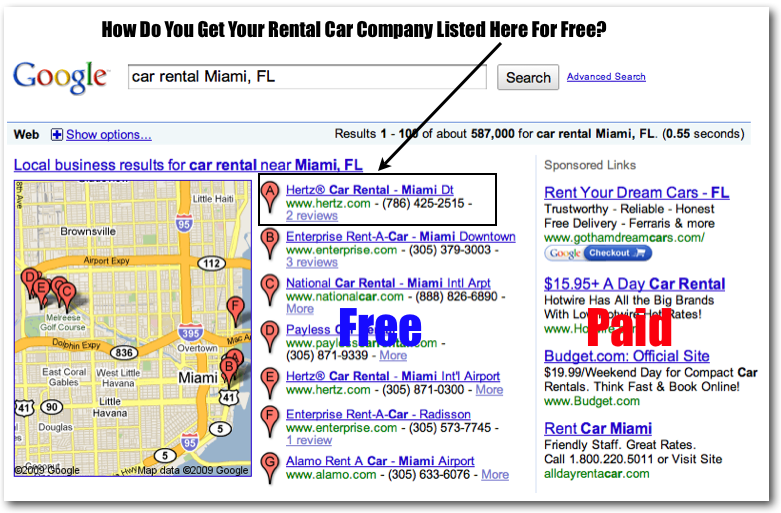 Check where your Rental Car Company ranks on Google, Yahoo!, Bing, Merchant Circle, Yelp, SuperPages and Local.com. Just type your city/state or zip code and see how you’re doing. Very cool! If your rental car company is not showing up for the most commonly used terms people are using to search for the services you offer, you can do one of three things. We can help you with your local search marketing and help you generate tons of new leads. Consider our Silver or Gold Package. However … if you take advantage of option three, you won’t need our help.